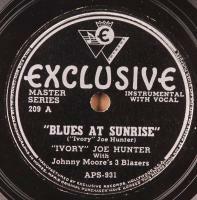 Early post war sides by R&B crooner/pianist and composer, Ivory Joe Hunter along with Johnny Moore’s 3 Blazers featuring Charles Brown on piano. 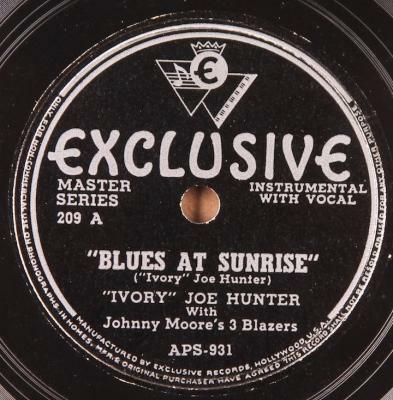 Condition: E-/E—; “Blues At Sunrise” plays fine over light surface noise typical of post war pressings. “You Taught Me…” plays fine but moderate surface noise throughout result of surface staining. Otherwise, like new copy.